Desktop Environment is for the human user of the computer to perform work on an Operating System. Desktop Environment can be Graphical or Command Line Based. 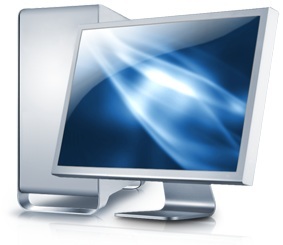 Although, sometimes Desktop Environment wrongly used to indicate a GUI based environment those comes with some name like Aero for Windows OS, Aqua of Mac OS X, Unity of Ubuntu, these are based on Shell and the Criteria for the architecture needed to become a Desktop Environment never of a GUI, rather its the way of executing the task on an Operating System. In case of Server Operating Systems, except some special Operating Systems, we never get a GUI, rather a Command Line Interface. We wrote about the differences between Server OS and Desktop OS and mentioned about the GUI point. Its some websites who has made two different terminologies merged wrongly – Graphical User Interface (GUI) and Desktop Environment. We can use one operating system’s Desktop Environment on other Operating system. The way to use other’s Desktop Environment is clearly in two ways – first is Emulation and second is Virtualization. With Emulation, it is not possible to get all the features of another Desktop Environment. So the subheader flipped now to Virtualization and Desktop Environment. We wrote about the advantages of Virtual Desktop Infrastructure before. There is a clear cut confusion among the mass about VDI and Desktop Environment on Virtualization, you will find in many question answer type websites people often asks the difference. Comparable can be Compared, the rest has to be understood. By Virtualization, we can run any Operating System with its own Desktop Environment. Like I am running Windows 7 on Mac OS X with full GUI but for servers we use Server OS with CLI. By Emulation, we can get some features of an Desktop Environment, it can be within an OS or from BIOS level or Hardware level. We actually can not strip out Windows Desktop Environment from Windows, whether we run KDE or any other like X Windows based GUI. Its a feature of Windows, its neither advantage or disadvantage. Windows or Mac OS do not have non GUI Desktop Environment any more. Users can recall for Windows it was present till Windows 98 SE, this fact probably created a confusion of the concept of Desktop Environment. Usage of “Under Windows Desktop Environment you can not run this, run from Command Prompt” kind of usage is wrong because CP is a part of Desktop Environment itself. Emulation often taken as weaker tool. Emulation can give various specific features of another Desktop Environment with very light tools for networking like tunneling, SSH etc. This Article Has Been Shared 8716 Times! Xen Switches to Linux Foundation, an agency that will ensure greater development for the project, now away from Citrix including Virtualization software. Cite this article as: Abhishek Ghosh, "Desktop Environment and Virtualization," in The Customize Windows, July 31, 2012, April 19, 2019, https://thecustomizewindows.com/2012/07/desktop-environment-and-virtualization/.